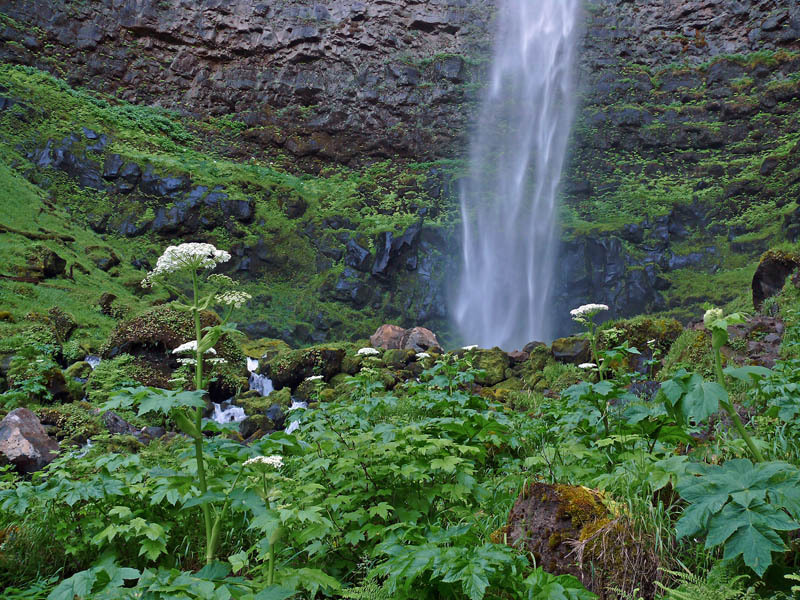 Plunging 272′ over massive cliffs formed by the edge of a lava flow, Watson Falls is the third highest waterfall in Oregon. For the botanist, the cliffs are covered with Campanula rotundifolia and other wonderful wildflowers, and many more decorate the scenic creek as it cascades farther down the slope. Turn south off Highway 138 onto Road 37, Fish Creek road, approximately 1/4 mile east of the east entrance to Toketee Ranger Station. Trailhead parking area is just ahead on the right.